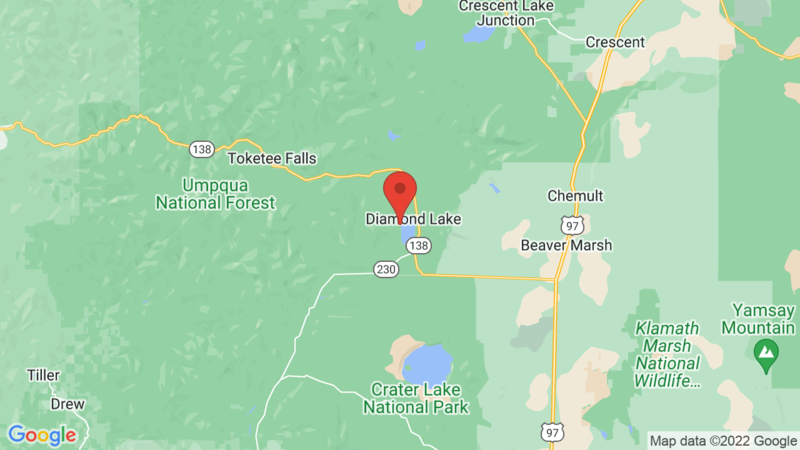 Thielsen View Campground has 60 single-family campsites and is located on the west shore of Diamond Lake with beautiful views of Mt. Thielsen. Campsites can accommodate tents, trailers and RVs (up to 35 feet). Each site also has a table, fire ring and grate. Twenty sites in loop A are reservable, and the others are first-come, first-served. Campground amenities include drinking water, gray-water sumps and vault toilets. There’s also a boat ramp, amphitheater and camp host that sells firewood. The closest dump station is at the resort ($5 fee). Outdoor recreation includes boating, canoeing, kayaking, fishing and wildlife viewing. There’s also a paved 11-mile hiking/biking trail around Diamond Lake, as well as other trails throughout the area. Hamaker campground is also nearby. 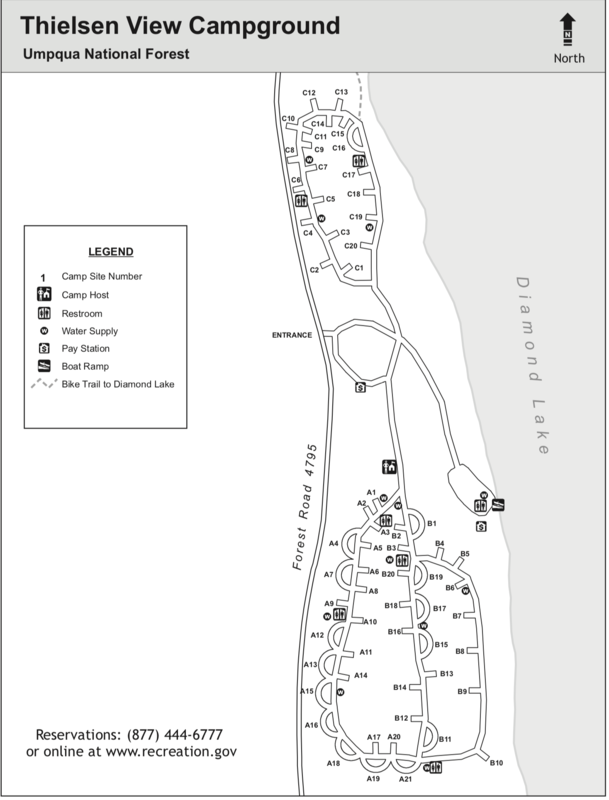 Poole Creek, East Lemolo and Inlet are in the Lemolo Lake Recreation Area. Visted Thielsen View Campground lately? We'd love to hear about your adventure. Did you find us useful? Did we forget something? Anything our community should know before heading out to Thielsen View?